Pachanga Grill has been a mainstay of the Odenton dining scene for 20 years, and it’s easy to see why. 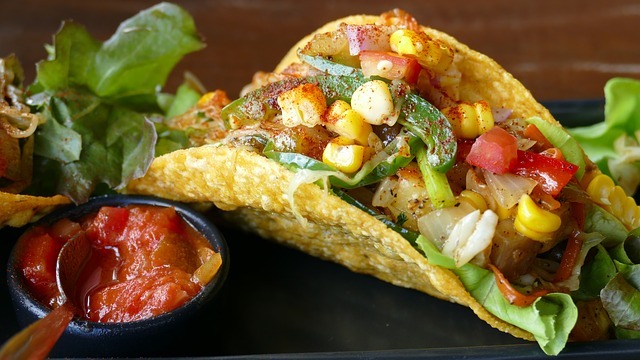 This restaurant celebrates the flavors of Mexico using fresh, authentic ingredients in a family-friendly setting, and encourages diners to treat every meal here like a fiesta. Longtime friends Fernando Duran and Gilberto Cortes opened Pachanga Grill in 1999 and have become known for their tacos al pastor, consisting of soft corn tortillas crammed with grilled steak, topped with onions and cilantro, and served with a spicy tomatillo sauce. You can expect a tasty meal and great service whenever you visit, but it’s a good idea to keep an eye on the specials if you want to save a few bucks. On Monday, appetizers are $8; on Tuesday the carne asada is marked down from $22.75 to $17 and signature cocktails are half-price; on Wednesday, members of the military can take advantage of 15 percent off all meals and happy hour lasts seven hours, from 11 a.m. to 6 p.m.; and on Sunday, you can enjoy brunch from 11 a.m to 3 p.m. If you visit on a Tuesday evening, you will be treated to live Colombian music from 6 to 9 p.m.